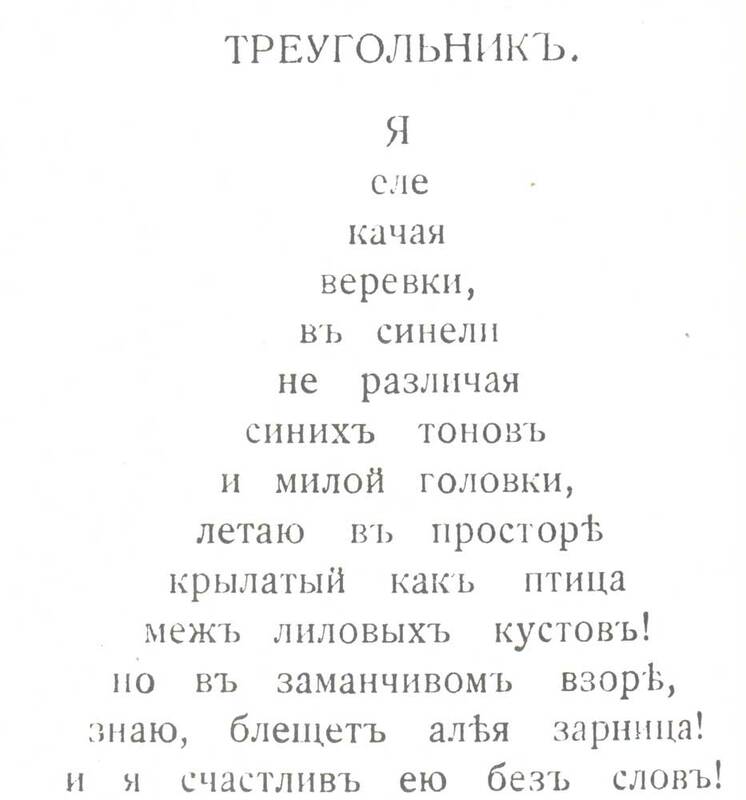 Triangle-shaped poem from Bryusov”s book of poetry “Essays”. Moscow, 1918. 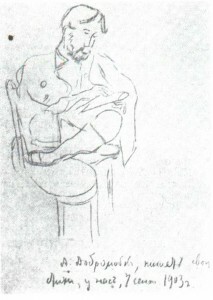 V. Bryusov (1873-1924), Portrait of the poet A. Dohrolyuhov. 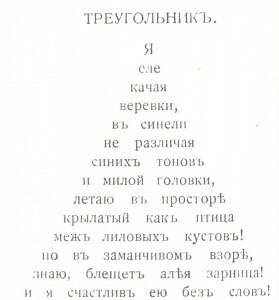 1903. 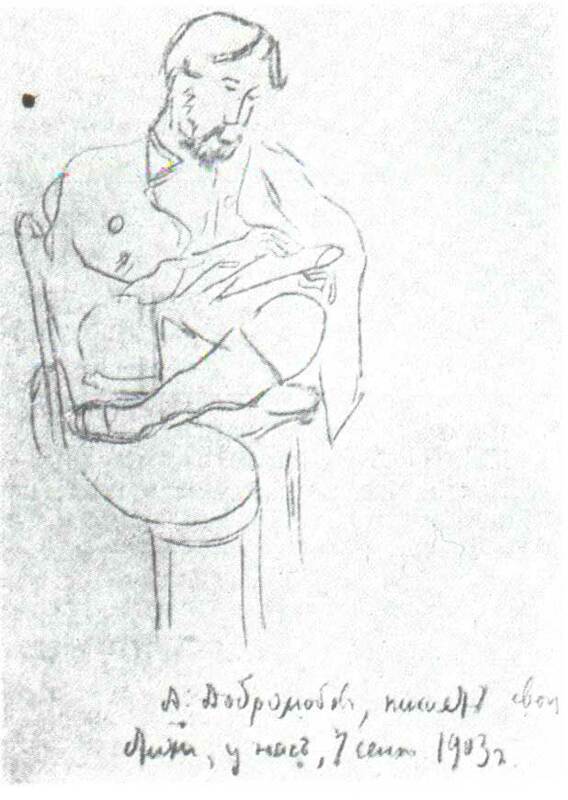 Pen­cil on paper. “Literary Heritage”. Vol. 27-28. Moscow, 1937.